Netflix Customer Problems – A Public Relations Nightmare! Netflix is in the news again. CEO Reed Hastings apparently has decided against splitting the company into two distinct product lines – DVD rentals and streaming video. The decision was made after customers protested and share value dropped some 60% since July. I don’t know about you, but it doesn’t necessarily surprise me that Netflix changed its mind considering the outrage of customers and subscription cancellations. Netflix Customer Problem News – Did CEO Reed Hastings Do More Harm Than Good? Whether you rent DVDs or enjoy streaming video, you can’t help but be fascinated at the recent Netflix news. A blog post went up on the Netflix site Sunday night from their CEO Reed Hastings with an apology for their poor communication process with customers. 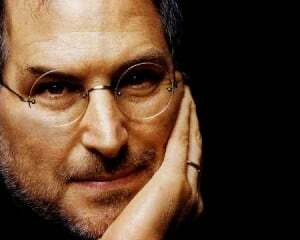 Steve Jobs and Apple – What Can we Learn? The news that Steve Jobs stepped down as CEO at Apple saddened me for a couple of reasons. First it is unfortunate that Steve’s health has forced him to leave his post way too soon and secondly I think it’s a shame to lose such an amazing visionary. I don’t know very much about the inner workings of the Apple company all I know is from a consumers perspective that it is run brilliantly. As 2010 comes to a close, organizations should be preparing for the new year. Planning and goal development helps businesses achieve strategic objectives. There are many aspects to business management but focusing on the strategic vision, critical success factors and business goals is imperative to achieving corporate objectives. I hope everyone had a great holiday weekend! I’m honored to host this edition of the Customer Service Carnival. As you begin a new work week and the official kickoff of the Christmas season, I hope you enjoy the following articles!